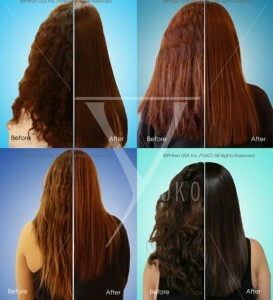 Yuko Permanent Hair Straightening is a unique straightening system created to permanently straighten naturally or artificially curly hair without causing damage. The Yuko system also has the ability to turn damaged hair back into healthy hair. Clients will normally experience between 3 – 9 months before hair regrowth will have to be treated again whilst hair already treated with Yuko will still remain permanently straight.